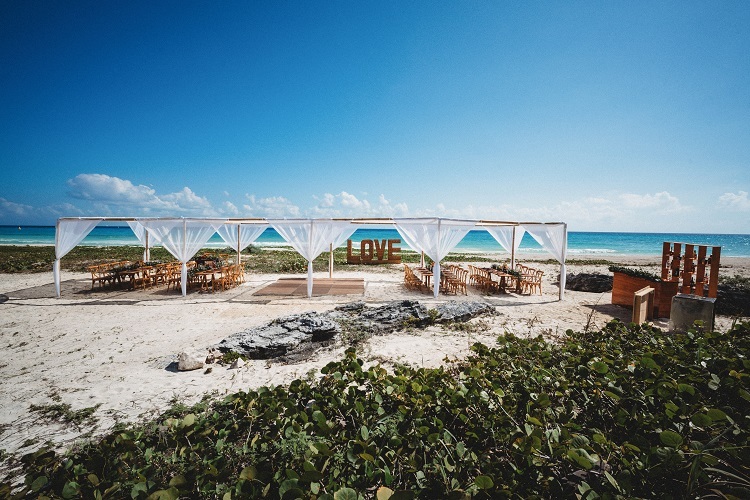 You’re newly engaged and ready to plan the perfect destination wedding in Mexico. 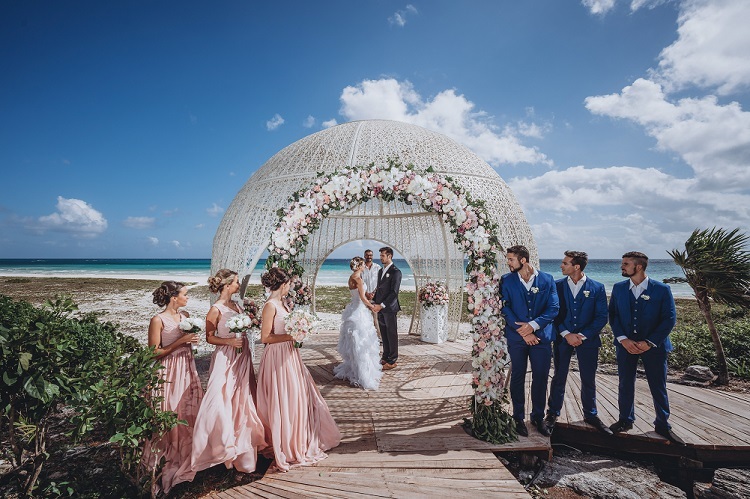 If you desire a sophisticated, yet welcoming experience, you’ll definitely want to book your ceremony, reception, and honeymoon at Sandos Palm Bay Playacar. 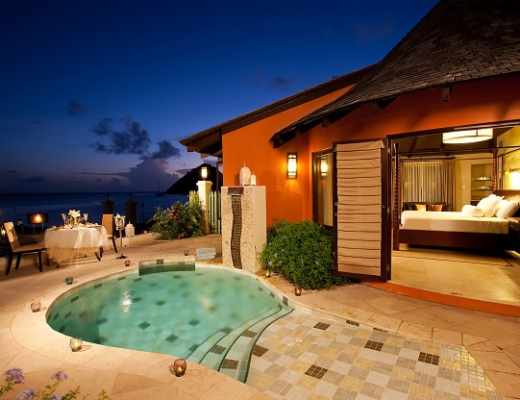 Where better to celebrate your beautiful romance than in the pristine environment of Sandos Palm Bay? 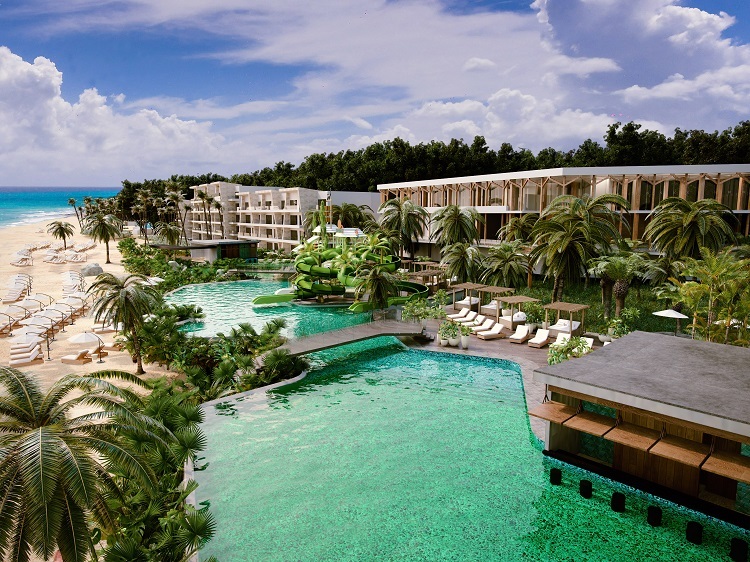 This resort delivers an endless array of memorable moments while keeping pre-wedding stress to a minimum. 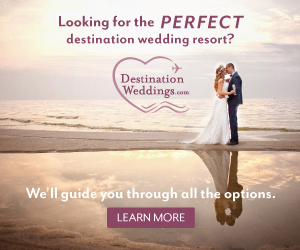 Destination wedding packages elevate the experience, ensuring luxury in every detail. The fun begins with an exclusive cocktail party featuring tequila tasting or salsa dancing lessons. From there, you and your guests will enjoy a gourmet rehearsal dinner at one of the resort’s excellent a la carte restaurants. On the day of your wedding, you’ll prepare in style while enjoying mimosas or cold beers. As one of the most important moments in your life approaches, you’ll be swept away by the beauty of your wedding setup. 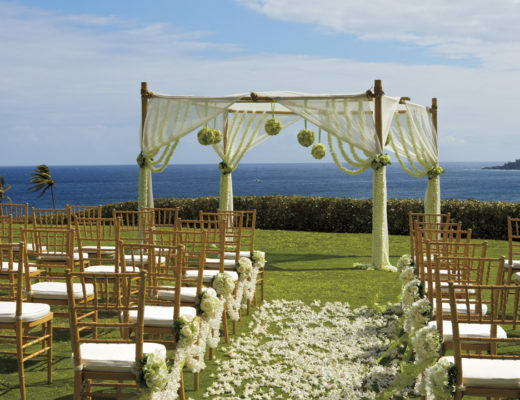 Your venue features a beachfront gazebo, a flower arch, and avant-garde chairs with sashes. A violinist, guitarist, or saxophonist will serenade you and your guests during the ceremony. With weddings at Sandos Palm Bay Playacar, vows are just the beginning. After you say ‘I do,’ you’ll continue the fun with cocktail hour. A Mariachi trio will entertain you and your guests as you enjoy appetizers and drinks from the open bar. During the dinner reception, you and your sweetheart will sit at an exclusive table with a chandelier. After dinner, a DJ will play your favorite songs as you dance the night away. 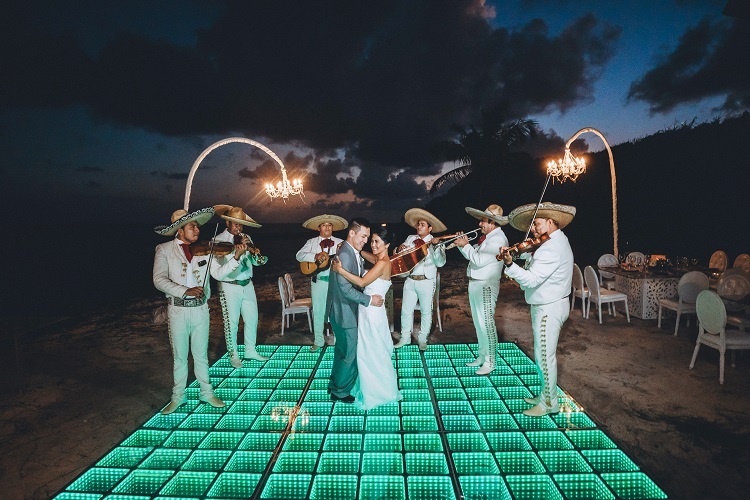 From the wedding dance to post-reception adventures, the wedding packages at Sandos Palm Bay Playacar transform your nuptials into a non-stop celebration. Sandos Palm Bay Playacar offers accommodations to suit every type of visitor. All rooms and suites come with a strong WiFi connection, turn down service, premium linens, and private balconies or terraces overlooking the beach or the resort’s lush gardens. While every room at Sandos Palm Bay Playacar delivers a luxury experience, newlyweds will want to stay in the resort’s Oceanfront King Suite, which provides a stylish and romantic space for total relaxation. Featuring contemporary decor and breathtaking views, the Oceanfront King Suite will make you feel as if you’ve stepped into another world. If you’re like most vacationers, the beach and the pool will form the core of your recreational pursuits at Sandos Palm Bay Playacar. Guests of all ages love playing in the sand, soaking in the sun, and goofing off at the pool. Children, in particular, appreciate the kid-friendly pool, which features several water slides and a rain tree. When the sun goes down, Sandos Palm Bay Playacar comes alive. Nightly entertainment will have you and your guests tapping your toes. No matter which activity you choose, be sure to reserve a day at Sandos’ on-site spa. 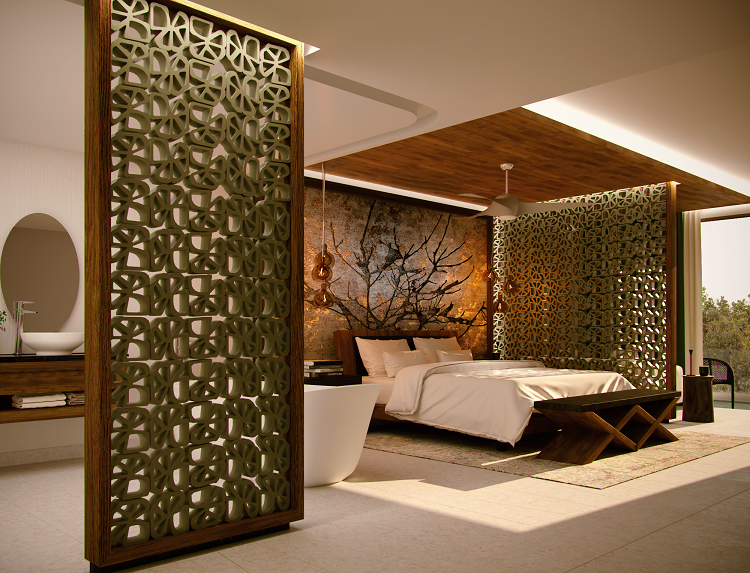 Here, you can indulge in treatments like couples massages, facials, manicures, pedicures and so much more. 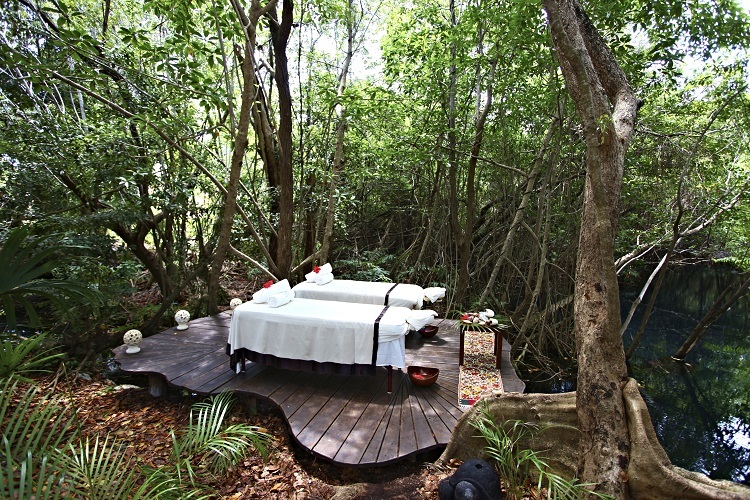 You can even book a massage near one of the famous Yucatan cenotes! 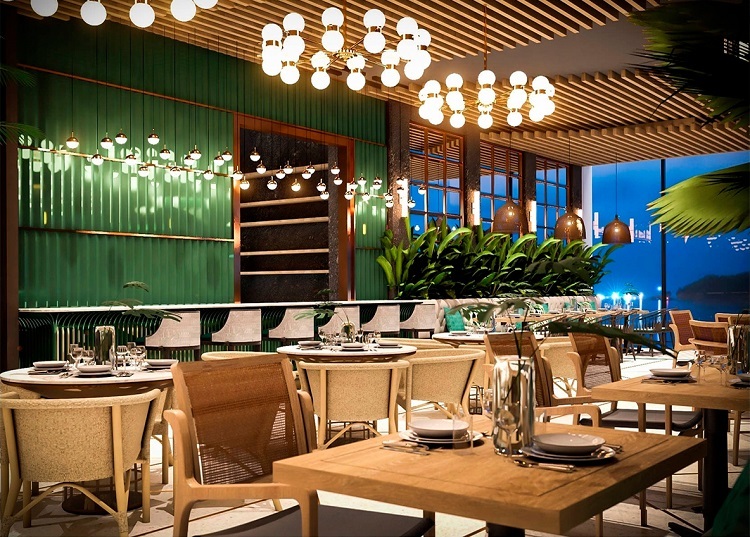 If you love sampling international cuisine, you will be in heaven at Sandos Palm Bay Playacar. Even picky eaters can find plenty to love about the resort’s enticing dishes. Be adventurous and explore the many options at the buffet or the variety of a la carte restaurants. If you’re in the mood for a sweet treat, be sure to swing by the Cupcake Café! Sandos Palm Bay Playacar offers plenty of opportunities for hosting a killer welcome party, rehearsal dinner, or farewell meal. 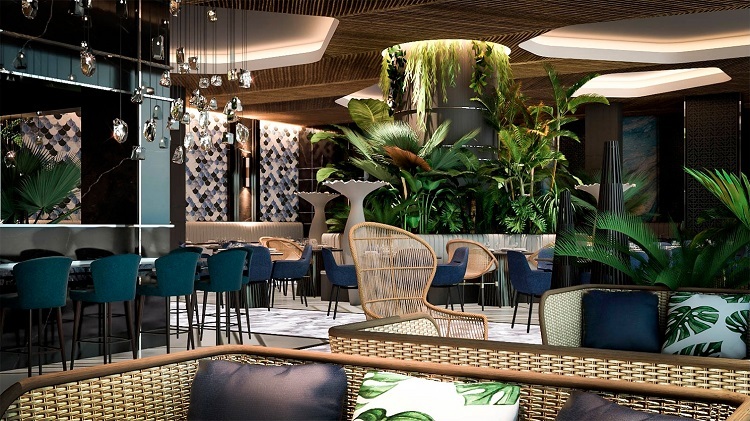 The resort’s sophisticated a la carte restaurants boast chic decor, exceptional service, and an open bar for rehearsal dinners. After dinner, don’t hesitate to hit up the resort’s other bars for expertly crafted cocktails. You can also enjoy delicious drinks during the day — even if you spend your afternoon relaxing by the children’s pool. 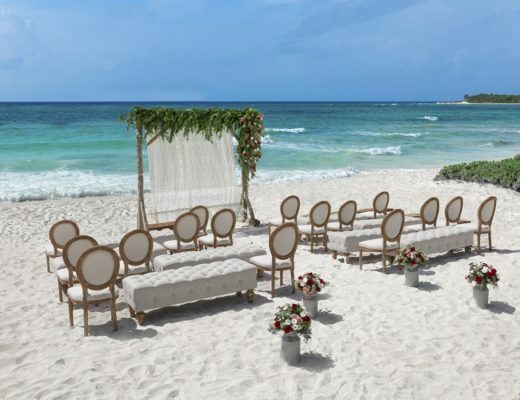 Sandos Palm Bay Playacar is the perfect site for your Big Day. Treat yourself, your sweetheart, and your loved ones to the experience of a lifetime!